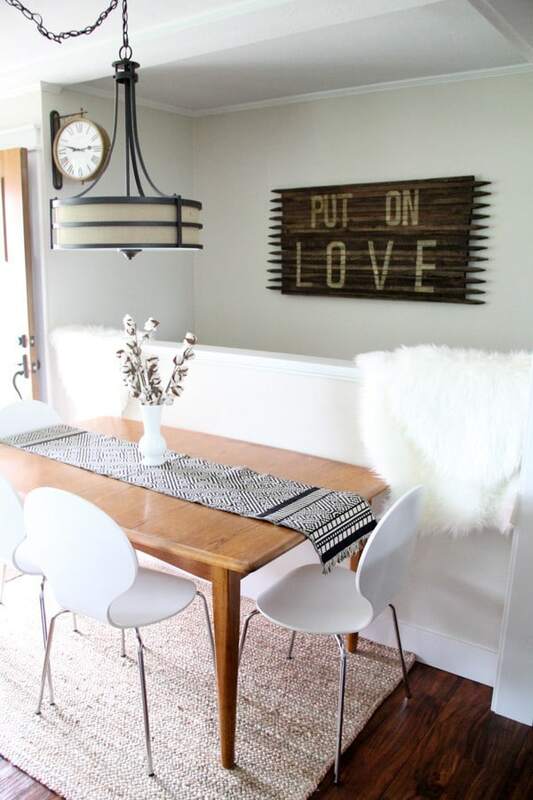 Recently I shared with you how I was creating a makeshift dining space in our home that didn’t have an eat in kitchen or a dining room. 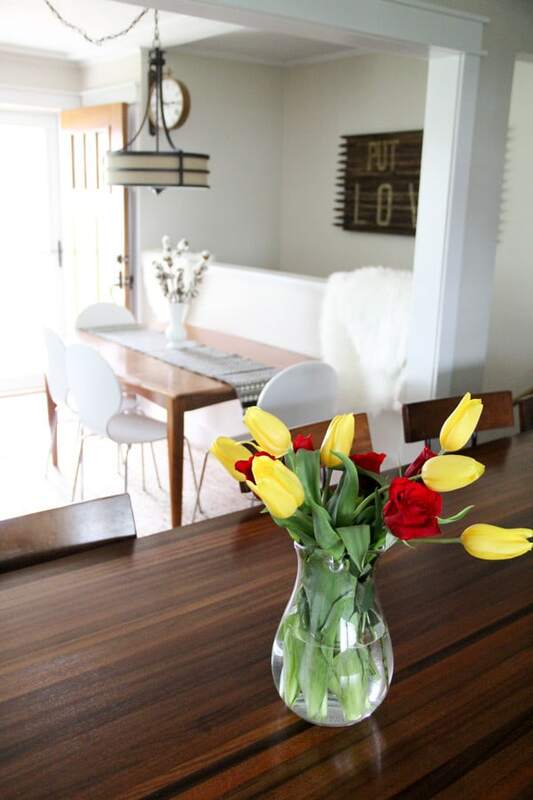 I ended up making a few tweaks to make it feel even more like it was meant to be a dining space. First I added this rug to help define the space. It’s smaller than I would normally go with under a table, but it’s the biggest size I could fit into this space. Otherwise it would have encroached onto the entry rug and into the living room. Then I converted a can light to a pendant so that I could hang this drum light. Here you can see how I used the converter kit. 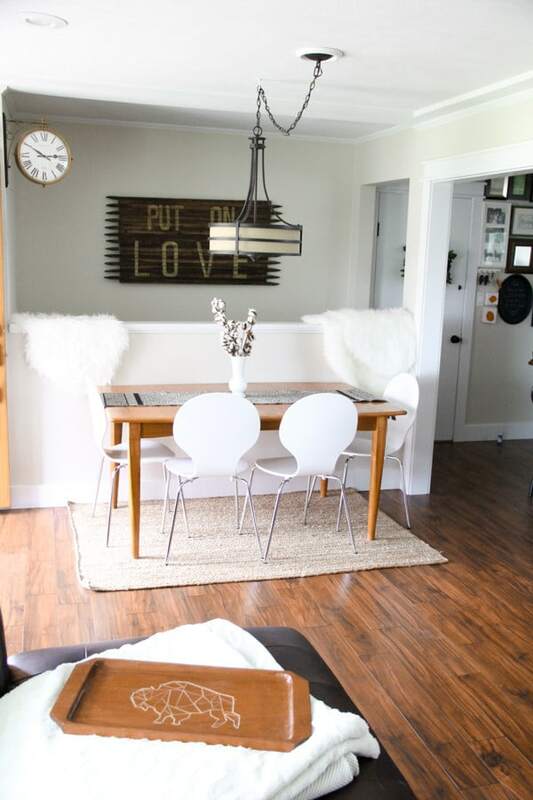 *contains affiliate link* I think the big drum light really makes it feel like the table is supposed to be there, rather than having a randomly placed table in the living room. 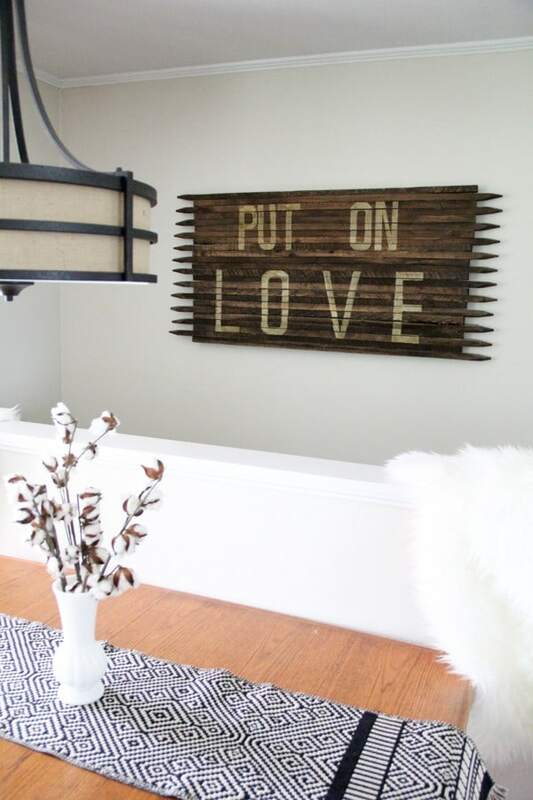 Above the space I hung the “Put on Love” garden picket sign that I originally made for our master bedroom. Even though it’s not an “eat in” kitchen, it’s pretty close! I also love finally have a real table to eat meals at! I couldn’t resist sharing a shot of my mother’s day flowers in there too! 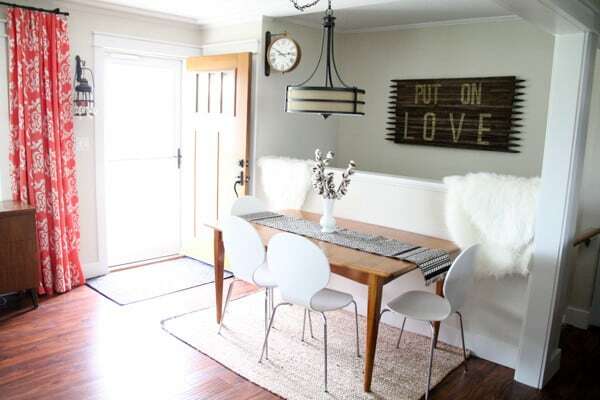 I think that this “dining room” goes to show that by thinking outside the box you can make any space your own. Rather than sacrificing having a table to eat at I just had to re-imagine and reinvent this space. 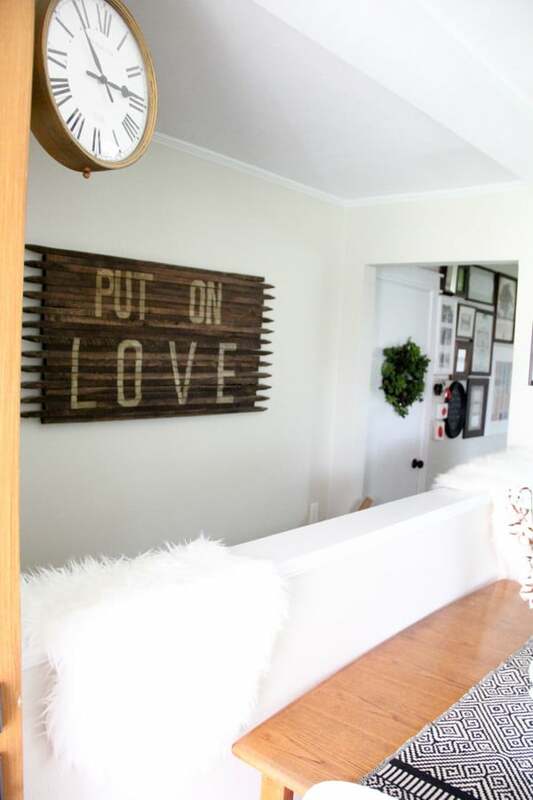 Hopefully this gets your wheels turning on how you can make a new space functional in your house! 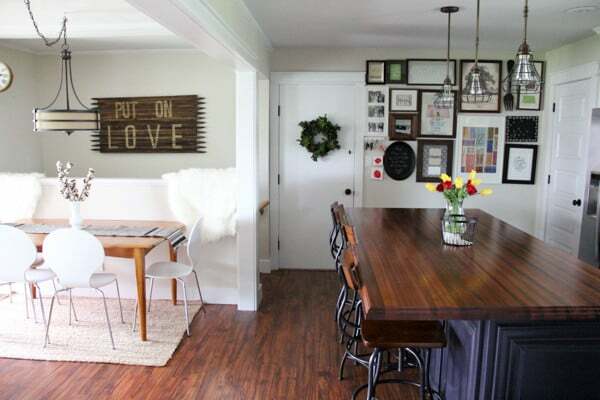 If you’re looking for dining room ideas check out my “Dining Room” board on Pinterest!